Need to sell your house fast in San Antonio, TX? We buy houses in San Antonio in 30 days – cash. If you need to sell your house fast in San Antonio – get a cash offer in 24hrs! -We’ll buy your house as-is. -Walk away with cash in your pockets. Need to sell your house fast in San Antonio? We’ll buy your home as-is, in any condition, so you can walk away with cash in your pockets. Hi, we’re Everett Real Estate Investments, a local home-buying company that pays cash for homes here in Texas. If you need to sell your house fast in San Antonio, TX, we can help. We buy houses in San Antonio, TX in any condition, in 30 days or less. If working with a real estate agent and waiting to sell your house on the market isn’t for you, reach out to us today and we’ll make you a cash offer in 24 hours or less. We’ll actually buy your home directly from you in 30 days, and pay the closing costs and fees with the bank. In fact, we’ll also handle the closing paperwork for you. Maybe you’re facing foreclosure, and you’re looking for a fast sale in order to preserve your credit and avoid the process altogether. If that’s you, we can help! Or maybe you just want a fast, hassle-free sales process for a home your just inherited in San Antonio. Whatever reason you’re here – just know that we work with homeowners in all kinds of situations. We’re cash home buyers who care about your situation. 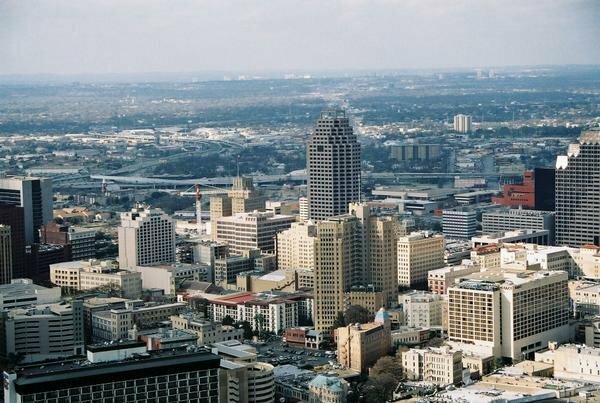 There are a lot of companies who buy homes quickly in San Antonio, so why consider working with us? We’re cash home buyers who care about you and your situation. In fact, our goal is to work to find a solution that will best meet your needs, without the added stress of having to worry about the normal house selling stuff: fees, paperwork, closing costs, showing your home to prospective buyers, etc. We want you to walk away from working with us having a positive experience, and having your goals met. In fact, honesty, integrity, hard work, and professionalism are what this company is all about. We strive to provide quality service, honest communication, and professionalism to every single client we work with. Our goal is to do win-win deals where you walk away happy, and we walk away happy. We won’t pressure you or make you feel obligated to take our offer, you can take as much time as you need to think things over. We also won’t change the number up on you last minute like some cash home buying companies will. What we offer you, is what we pay you. If you work with us, you’ll have the reassurance that the offer we give you is a solid offer and we’ll walk you through the entire process – each step of the way. We’d love a chance to earn your trust, and your business. If you have any questions at all that we can answer for you, don’t hesitate to reach out – even if you’re not ready for an offer, we’d love to answer your questions and concerns. We’re ready to buy your home for cash in San Antonio. You don’t have to list your house on the market, wait for the right buyer to come along, and show it to visitors. We handle closing costs and paperwork – no need to worry about anything. We buy as-is: you won’t have to make repairs to your home, go through multiple inspections, etc. We can close on your home in less than 30 days, so reach out to us today for a cash offer! Whether you’re trying to move fast for a new job you’re relocating to and want an easy sales experience, trying to avoid foreclosure, selling an inherited property, or any other reason, we’re here for you. Fill out the form to send us information about your property. We’ll contact you ASAP and set up a time to come see your property. If it’s a good fit, we’ll make a cash offer in 24 hours. You can decide if you want to take the offer. If you do, we’ll close on your home and buy it from you in 30 days. We buy houses in San Antonio as-is, no matter the condition. We buy houses anywhere in San Antonio, so if you’re looking for honest cash home buyers in San Antonio who can help you sell your home as fast as possible, we’d love to talk with you! Even if you’re on the outskirts, you can still give us a call to request an offer! The main advantages of working with us (as cash home buyers) over a traditional realtor is that we buy houses in San Antonio in 30 days, and pay cash – whereas with a real estate agent you’ll be listing your home on the house, showing it to potential buyers, and waiting for the right one to come along. If you need to sell your house fast, you may not have the time to wait. The other advantage we offer is that we’ll buy your house as-is: no repairs, no multiple inspections; we buy it no matter what condition it’s in. So basically, a realtor can help you earn the most money possible for your home but you’re going to have to be able to wait for the right buyer and potentially make repairs to your home that it needs. If you just need a really fast, all-cash sale where you can walk away with money in your pockets, that’s where we come in. We won’t be able to pay you as much as you could earn on the market, but there are no fees or commissions either, and you won’t have to spend money making repairs. If we sound like a good fit for your solution, reach out to us today! We really care about your situation, and our goal is to help find a solution that’s going to best meet your needs. Besides San Antonio, we buy cash homes in these cities across Texas.